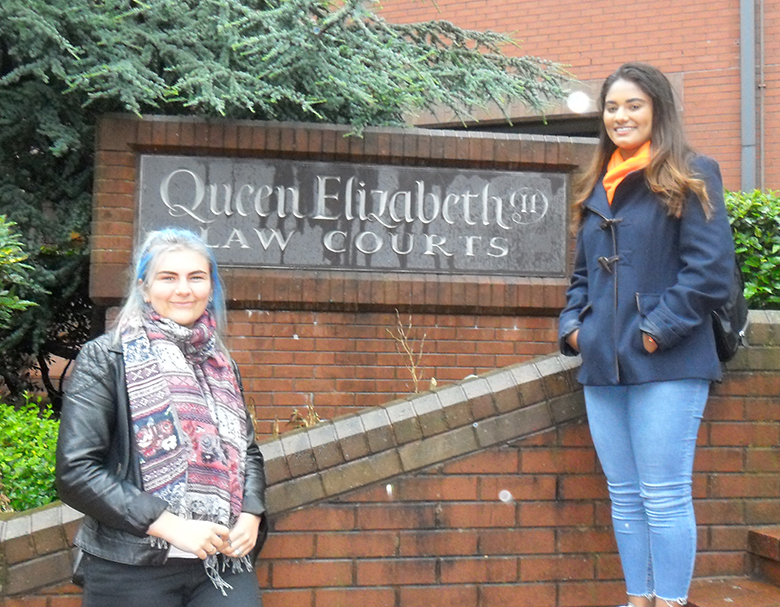 Law students at The Sixth Form College, Solihull enjoyed a study visit to the Crown Court and Magistrates’ Court in Birmingham city centre recently. The A level students visited the courts to see their studies in action. They have studied the English legal system and criminal law in their first year of study and were able to watch trials at both courts, as well as observe the roles of the key legal personnel. With 40% of students studying A level Law at the College going on to study Law at university, this visit gives them a valuable insight into Law as a career. For one student, Amber Motherwell (in the photo), her ambition is to be a police officer and she was pleased to watch an officer in charge of one case giving evidence in the Crown Court.